Overstimulation for Toddlers. 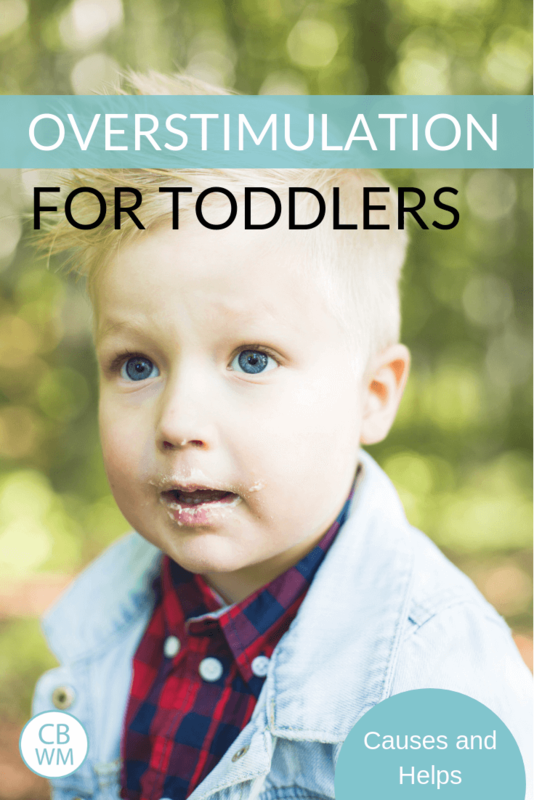 Causes of ovestimulation, what overstimulation looks like, and how to calm an overstimulated toddler. Avoid sensory overload. It isn’t only babies who can get overstimulated (see How to Calm Your Overstimulated Baby for more information on this topic). Toddlers on up to adults can become overstimulated. Think of the nights you have stayed up later than usual and have a hard time falling asleep, or nights you watched a movie that really interested you and made it harder to fall asleep. We all can become overstimulated. The toddler can handle more information than the baby. For baby, everything is a new sensation. Toddlers are still taking in a lot of new sights, sounds, smells, etc., but they can handle more than the baby can. Toddlers have the ability to defend themselves from overstimulation. The toddler can wiggle out of his great-aunt’s arms when she has become too much for him. He can go find a quiet room to play in when the large crowd assembled is just too noisy for him. Too Little Sleep: Maybe your toddler got to bed the night before because you were at a family party. Perhaps his one nap of the day was cut short because you had a doctor appointment that cut into it. These things happen, but they do cause your toddler to become overstimulated. He can’t handle as much when he is overly tired. Too Much Activity: The holiday parties, family reunions, etc. can cause your toddler to become overstimulated. There is so much stimulation at these activities! There is so much noise. There is so much to see. There are so many people. It can really stress the brain out and even cause some anxiety in your little one. Routine Disrupted: This is not only naps and mealtimes, but regular activities like independent playtime. Again, disruption to routine is a part of life, but it is a cause of overtimulation for your toddler. One thing to take note of, all people have different levels of tolerance with disruption, including toddlers. If your toddler is a highly sensitive person, he will not handle less sleep, too much activity and noise, or the routine disrupted with less grace than a toddler who is not as sensitive of a person. So what does overstimulation look like for the toddler? Well, it isn’t pretty. The overstimulated baby cries and has a hard time falling asleep. Most people take pity on the overstimulated baby and think he just looks so cute when his lip quivers like that. The toddler doesn’t receive the same sympathy, and many disapproving looks can be cast on the parents as people assume the parent has a raised a spoiled brat. Obedience Dwindles: The other night we took dinner to some friends who just had a baby. At first both children were polite and well behaved. As the night progressed, the obedience digressed, especially in Kaitlyn (20 months) since she is less able to handle being overly tired than Brayden (3.5 years). I didn’t realize the time. When we got out to the car, I saw that it was 30 minutes past Kaitlyn’s bedtime. No wonder she had stopped listening. Toddlerwise talks about these situations and says, “It is not discipline that the child needs, but rest” (page 103). For some kids, it is as simple as not obeying as well as usual. For others, a tantrum is the symptom of this problem. Irrationality Appears: Your toddler can become very irrational. Rules are no longer acceptable. He will not wait for what he wants. The normal expectations of parents suddenly seem very unreasonable. Crying Reigns: Your child might cry. Crying usually accompanies a tantrum, but some will just cry. Manners Depart: This is more obvious in the older toddler than the younger one; younger toddlers don’t really have manners yet (though they might forget their please and thank yous). For Brayden, this can be a lack of hugs and kisses when departing from the grandparents or refusal to answer the questions of adults. There are some things you can do to minimize the impact of these disruptions. You don’t have to be as drastic as you did with your baby, but there are some strategies you can follow. Adjust Your Expectations: Prepare yourself with extra measure of understanding and patience for your child. As stated above, this is not the time for discipline but for remedying the cause of the problem. The cause is being overly tired or overstimulated. When he doesn’t respond to your instruction, patiently help him to do what is needed rather than getting flustered that he isn’t listening to you. You need to carry this extra patience with you beyond just the day of disruption; give your toddler time to get back on track. Maintain Routine As Possible: When Brayden was younger, independent play was very important to his overall level of obedience that day. I would try to have independent play before we went to visit people. This wasn’t always possible, but I did it when I could. Sometimes when we are at a family party, he will remove himself from the large gathering to a room alone. I allow him to do this and have his time to himself. 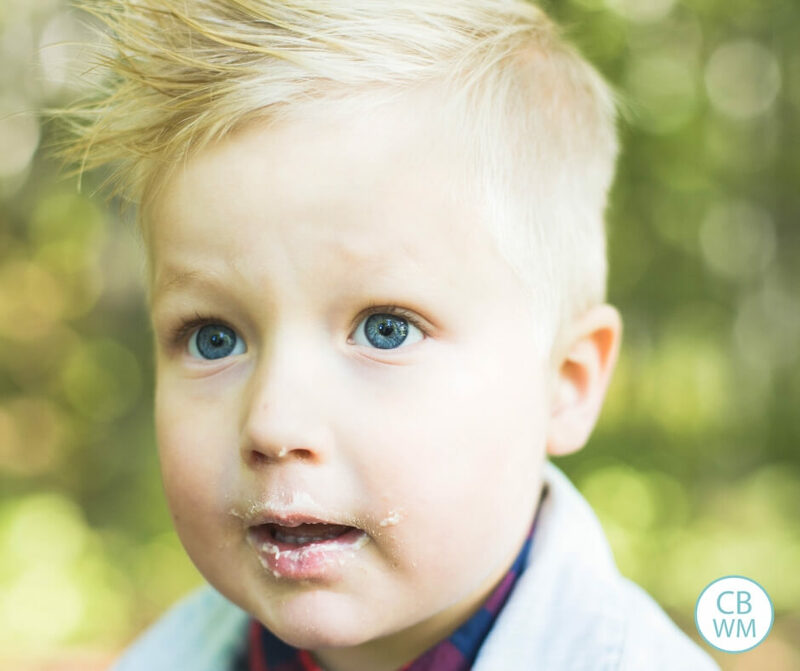 Often in these situations, we let our toddler wander at will. This is a prime opportunity for our toddler to get into mischief, so keeping some structure as possible will prevent discipline issues. Maintain Sleep as Possible: While Brayden can now skip a nap while out, I still make sure Kaitlyn gets one. I take her pack and play and put her where I can. She will usually get a shorter nap than usual, but it is better than nothing. Maintain Meals: It seems our family meals are always around 1 PM, which is 1.5 hours past the normal lunch time for our kids. I will either just feed them lunch at the normal time or give them at least a snack to hold them over. This works out because children often don’t eat as well when there are a lot of things to do and people to see. Have Breaks: I always try to have breaks between days of disruption. This isn’t always possible, but I make every effort. So if Sunday is going to be disrupted, then on Saturday I keep naps, bedtime, meals, and other play activities consistent. I will do the same for Monday, watching for possible need of longer naps or earlier bedtime. You know your child best. If your child does not do well with too much stimulation or with less sleep, find a balance between respecting what your child needs and asking your child to face these situations. If you have a sensitive child, your child won’t be a toddler forever. Your child will naturally need less sleep as she gets older. She will gain coping skills with large crowds as she gets older. Protect her stimulation levels as is reasonable. Help her cope when you have to allow her to be in a situation where she will be overstimulated. Awesome post, extremely helpful as the Christmas season involves a lot of traveling and disruptions to routine. Thanks!! Thank you – this is fantastic! Thank you Tanya. You are welcome! Great blog but you've heard that before! 🙂 I wasn't sure where to post this comment and here seemed appropriate. I have a 1 year old who slept great through the night since 2 months. These past few weeks though, she has been crying briefly between 9-12pm and then resettles and goes back to sleep. I'm not sure if she is awake – I don't go in since she stops before I can. Sometimes, she cries at 4am and wakes and requires a bit of resettling. What do you think causes this – nightmares or night terrors? Is it normal? How do I help her? She's otherwise fine through the day and isn't at a major milestone. Thank you. If I remember right, nightmares happen in the last half of the night and night terrors are in the first half. If it were a night terror, though, you would know without a doubt and she wouldn't stop before you got there. The crying will last for several minutes. Could be nightmares. I don't really know how to stop it other than talking to her about it (though that is likely not all that easy with a one year old) and being sure she isn't exposed to scary stimuli. Scary can be quite innocent for a one year old. If she watches tv, you might want to stop it.My son would get night terrors if he was too hot or too cold, so check into those factors, also.